One of my ongoing dreams for the Richmond restaurant landscape has been the desire for a more upscale Mexican restaurant. There are certainly a few places in town that make a decent mole or tamale, but none treat the genre with the refinement and interest that other cities do. A recent trip to Austin's Fonda San Miguel over Thanksgiving, and memories of Rick Bayless 's Frontera Grill in Chicago make me yearn for a higher quality experience in Richmond. With the new Plaza Azteca in Richmond, we've taken a few baby steps, but we still have a long way to go. 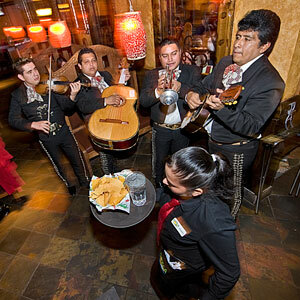 Read my take on Plaza Azteca in this week's Style Weekly.